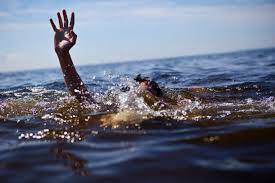 A 11 year-old boy from Bangwe Township in Malawi’s commercial Blantyre city died on Sunday after drowning in Mwipase stream where he went to swim with friends. Limbe Police Station Public Relations Officer Widson Nhlane confirmed the incident and identified the boy as Frank Charles. “The dead body has been taken to Queen Elizabeth Central Hospital (QECH) in Blantyre for postmoterm,” Nhlane said. Charles hails from the area of Traditonal Authority Mabuka in Mulanje District. Police have since advised parents to monitor their children so that they do not go to the river when they are not in the company of adults. 1. Ngati mwanayo ali wosamva makolo angapange bwanji? 2. Munthu wamkulu wake uti amene angalore kusiya ntchito zake nkumawatsatira ana ku mtsinje? 3. Ngati makolowo ali a pantchito kapena business asiye aziwalondera anawo? Chonde ndiyankhenkoni kuti umbuli undichokere!!! sometimes ngozi zinazi tikhoza kuzipewa kwa ife makolo, ana athuwa tisamawalore kupita kosambira opanda munthu owayanganira. may the soul of the boy rest in peace. Please try to bring news in tym Admin. RIP to. sometimes imakhala writing error. it may happen kuti mwinakeyo amafuna atalemba an but unfortunately analemba a. i hope u understand. every one makes this mistake when writing.